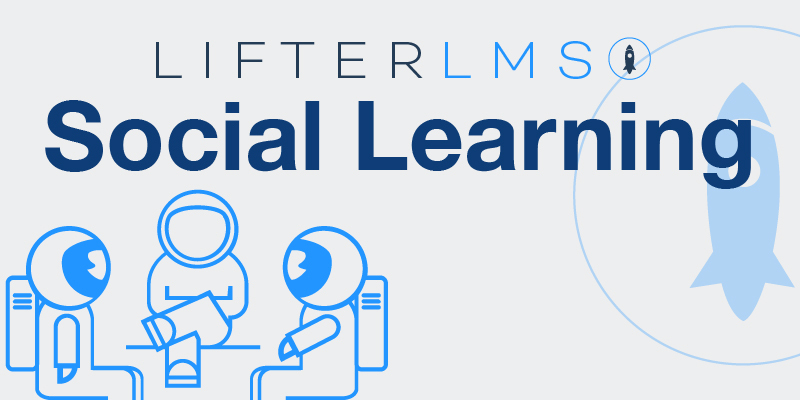 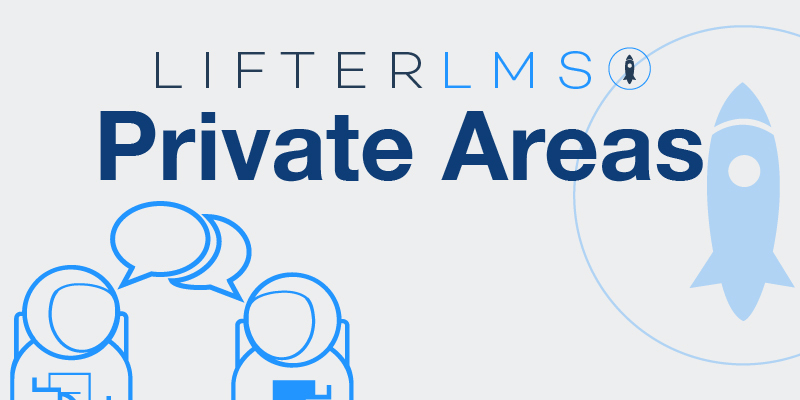 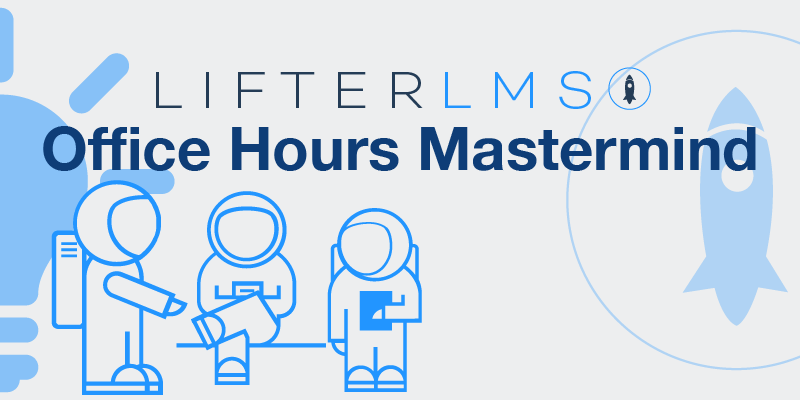 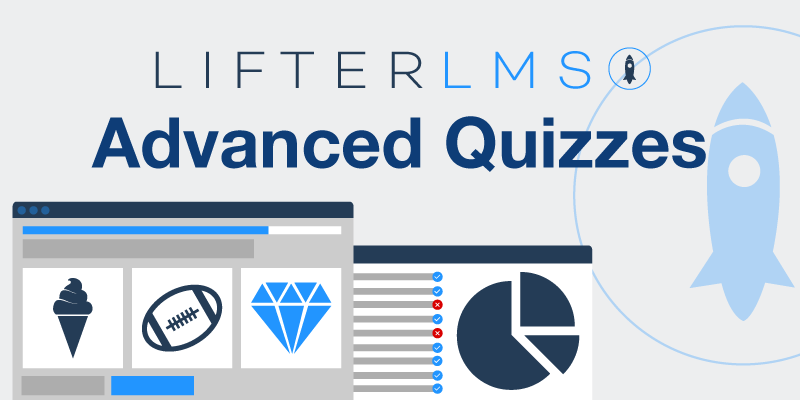 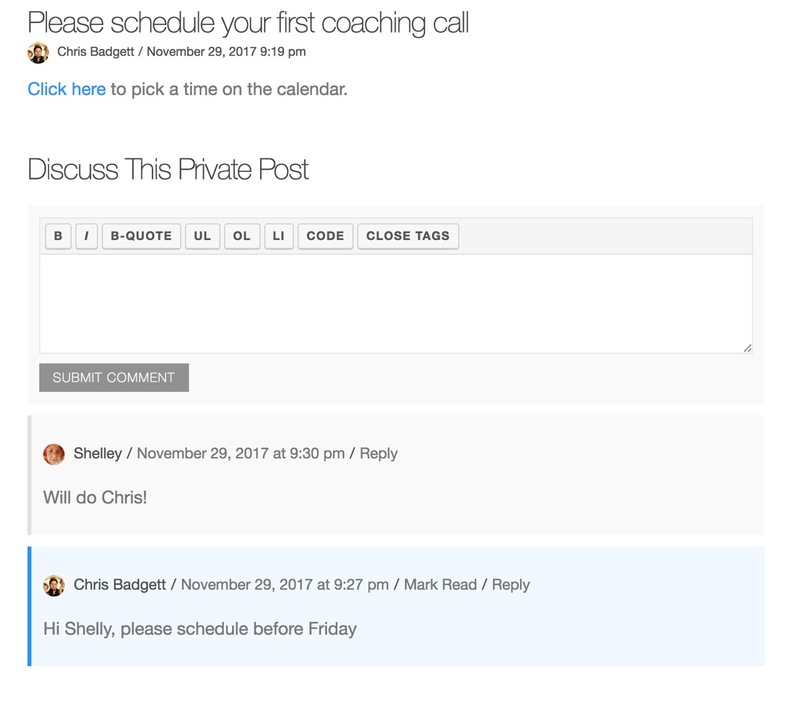 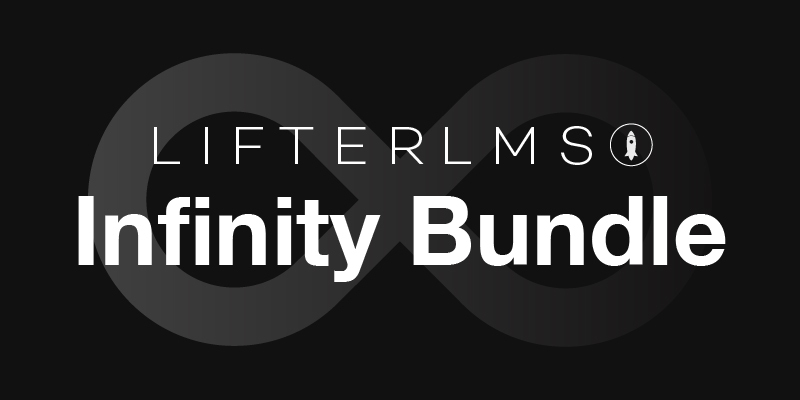 You don’t have to send your learners away to forums , Facebook groups, or their email inbox to deliver private content and conversations. 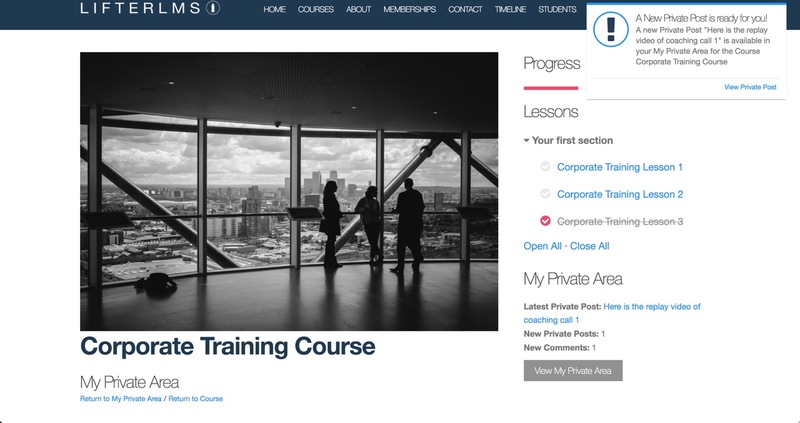 Why not engage with them in your own Private Area on your platform? 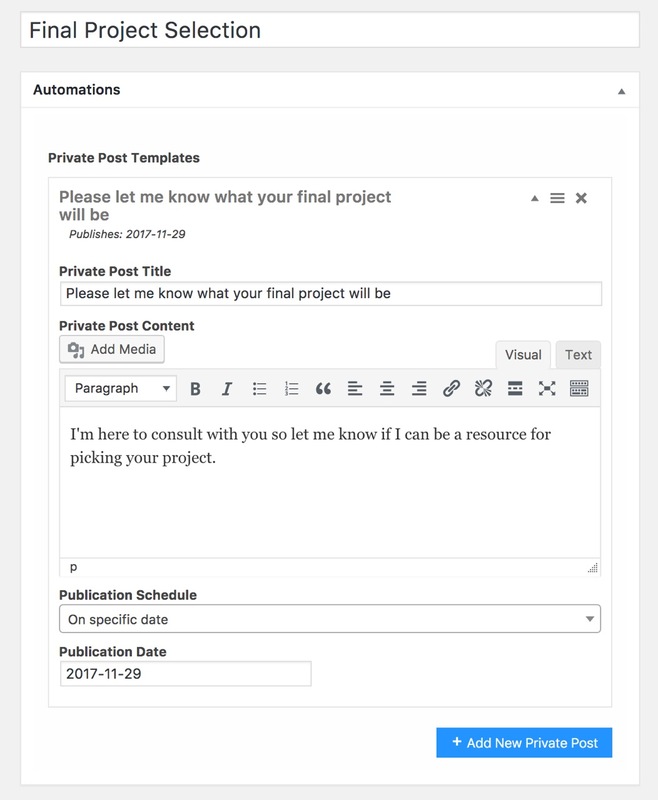 Publish one or multiple private posts per student per course or per member per membership. 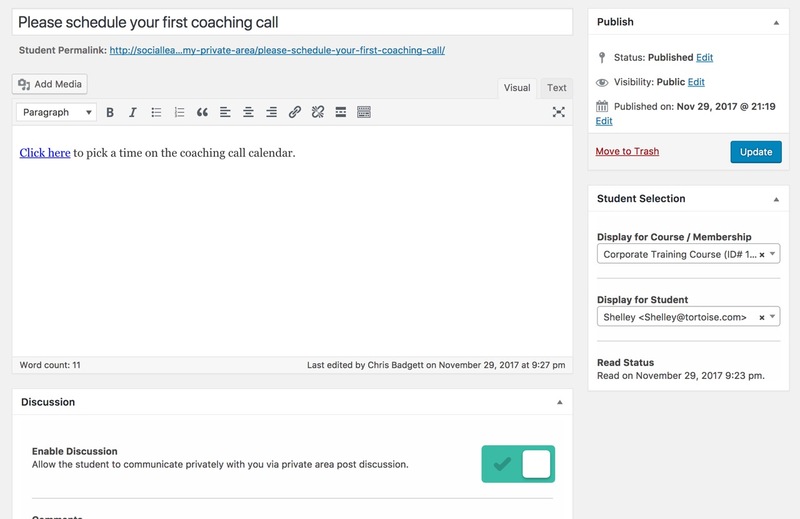 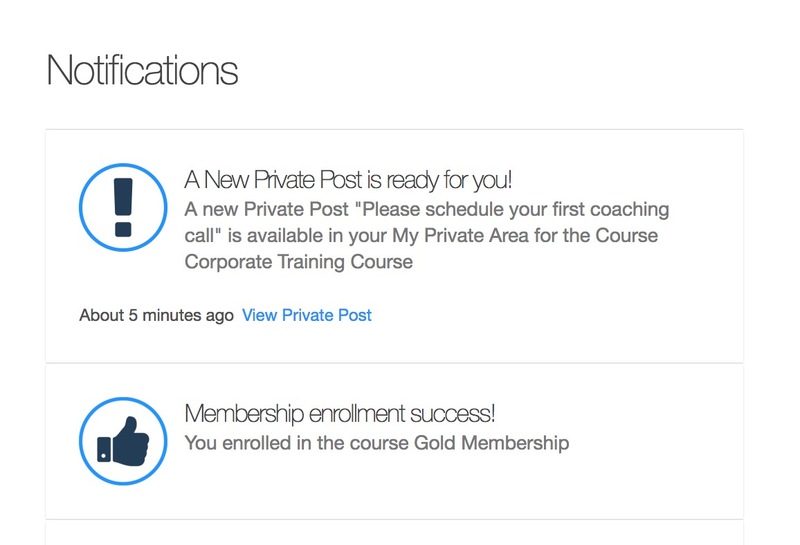 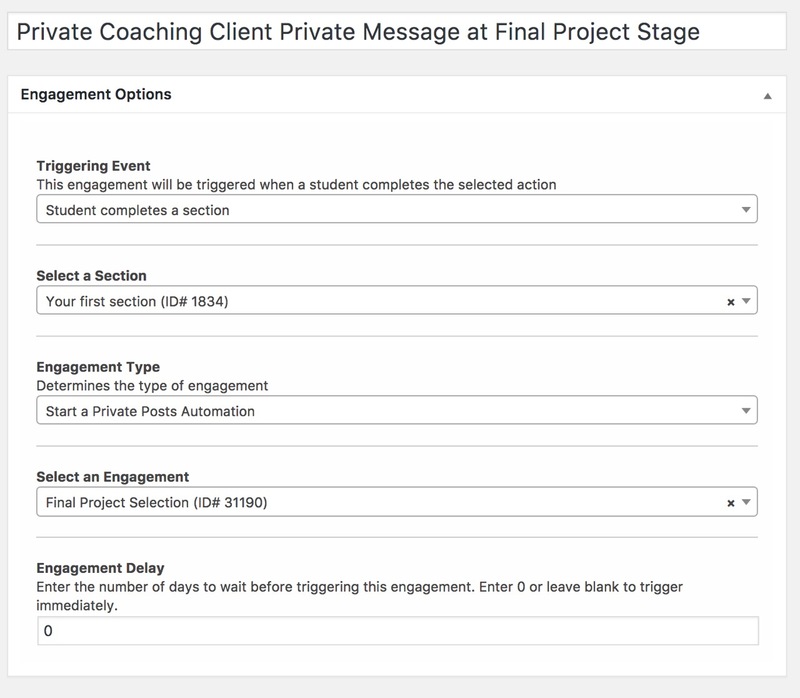 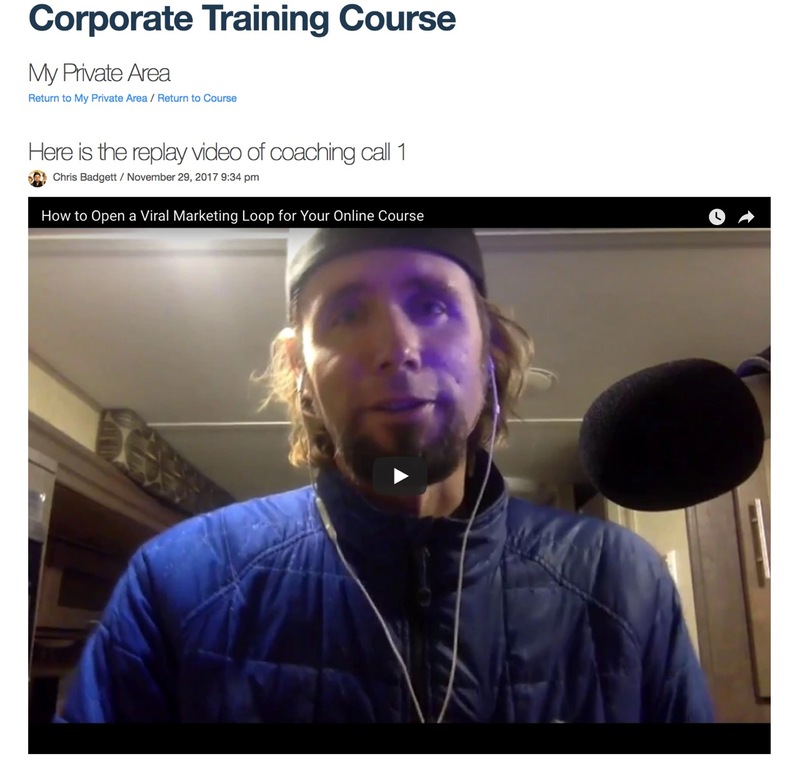 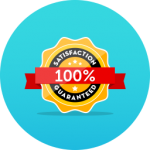 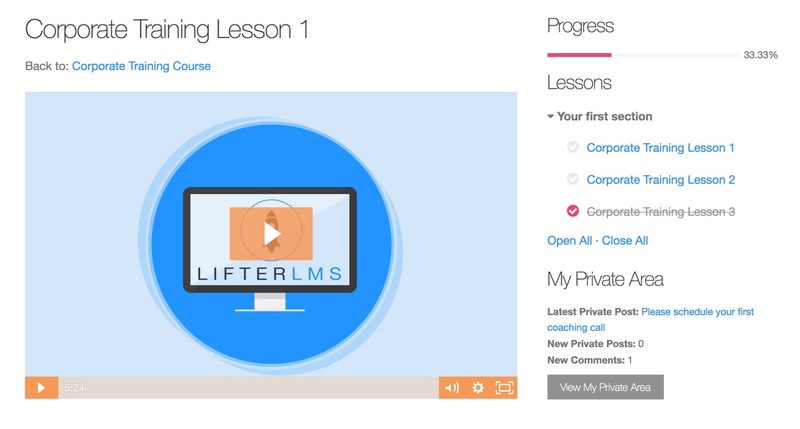 Private Areas also includes a powerful tool called Automations where you can set up a series of private posts to go out automatically when someone enrolls in a course that includes a private post automation sequence. Private Areas are a great way to provide more value to your students, command higher prices for your learning opportunity, and increase engagement for maximum results.